Let’s Whip Our Summer Into Shape! Yes, those lazy, hazy, crazy days of Summer are upon us. For most of us, what does that mean? For those of us that have children in the house it means school is out. That is a whole other subject altogether. Although I will say that may fall into the category of crazy, IYKWIM. For those of us who fall into the other category, meaning, for whatever reason, there are no children to disrupt our daily activity, we have our own challenges. Not to take away from those parents who pull double duty mind you. We all have immense respect for you. Been there, done that. And may the force be with you. Yet, it was brought to my attention the other day that summertime may cause a lazy haze to creep into our daily routine much like a fog bank makes its way onto shore. One minute we’re enjoying the warmth of the sun and then a climatic change threatens to rearrange our good intentions and before you know it, we can’t make our way through the all the minutiae. But do we give ourselves the time to appreciate life’s little pleasures? Most of us have trained ourselves to be self-disciplined people. And as such, we make lists and schedules that do not allow us to take a break from our normal routine. I would venture to say that few of us ever accomplish what we set out to do on any particular day. Which keeps us in this vicious cycle of frustration and exhaustion knowing full well it is virtually impossible to get everything done. No, I’m not talking about cleaning a toilet, or fixing a meal, or doing a load of laundry, or catching up on all your emails. Over the years, I have found that for some reason, those things will still be there for you to do later. It’s called job security. Go for a walk and breathe in some fresh air. It can be around the block. Or at a beautiful park. Or at the ocean, that is, if you live near an ocean. As you can tell by the picture above, that is one of my personal favs. Even if you are living under a deluge of precipitation that measures in seismic proportions, go to a mall or some other indoor arena available to you and walk. I know some of you are working out. You may be doing potty squats with Ginger Calem. Or Crossfit like Jenny Hansen. But that’s not what I’m talking about. We need to get out of our normal routine and change the scenery. And the best part— it doesn’t cost us anything. Well, maybe our time, which I know is a precious commodity. But you will not believe how stimulating it can be. It helps to clean out the cobwebs in our brain. Have you had writer’s block lately? Has a figurative “fog bank” rolled in across the page? And you will be surprised how fast you’ll Whip your WIP this Summer into shape! So what do you think? Have any special plans for this summer? Do you like to exercise? Do you have a hard time allowing yourself to take the personal time needed to regain your creativity? What things do you like to do to help stimulate your mind and keep your sanity? Thanks everyone for stopping by and for all your amazing comments! This entry was posted in Blog Post and tagged Crossfit, Ginger Calem, Huntington Beach, Jenny Hansen, Karen McFarland, Summer, Writersbutt on June 5, 2013 by Karen. No kidding, it’s a viscious cycle. Never come close to doing everything I plan to each day. I did make some headway unpacking more boxes Sunday. Yeah, remember how we moved a year and a half ago? That tells you how crazy my life is. Felt so good to make progress with the unpacking. Still much to do, though. 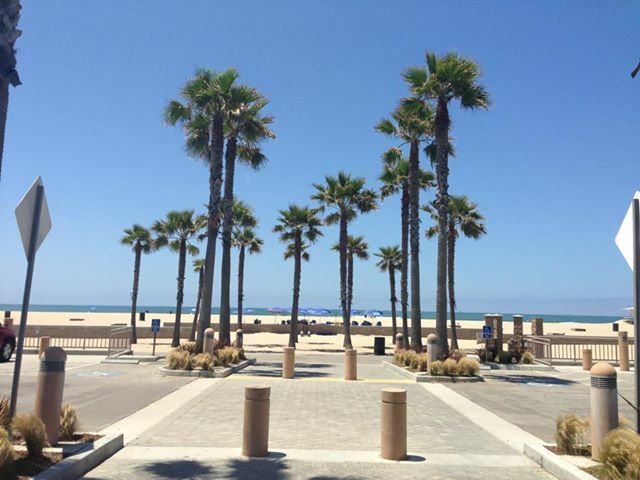 I love that pic of Huntington Beach, Karen! It’s so nice that you live so close. Glad you’re making great progress with your WIP! With all the nice weather here in Seattle I’ve been out in my garden; transplanting, dividing, and of course…weeding! Love the picture, Karen. A link to my old home, even made me a little homesick. Great blog! It was a good homesick, Karen. 🙂 And getting out in the yard, taking a walk is always a mood lifter. It’s been raining here… but you’re so right that I need to get out and take a walk. The world looks just a little different everyday. Half the fun of living in it is experiencing the changes too. Thanks for the reminder, the nudge, and the shared joy of life, Karen. So I guess I’m getting to that age where I’m learning, Karen 🙂 Nice post! Actually, I’m not taking any math at all this summer, but I’ll be back with that in the fall. I need a total of 16 hours of natural sciences to get the Associate degree I’m currently working on, so I’m currently taking Biology II For Science Majors–and wow, does it cover a lot of material at a brisk pace. School has impacted my writing a lot, but I plug away at it when I can. Are you kidding? I’m like a dog: I NEED to be walked. Or run. Or something. Daily. Without this chance to move, think, talk to myself, and soak up beauty, I would become…well, let’s just say it’s best if we don’t find out. But the beach…now that would be nice. Most weeks I don’t get out of the house until the weekend. 🙂 I crawl into my work cave on Monday and often stay there all week coming out to exercise and eat–but still in the house. I know I need more balance–probably why I’m having problems with insomnia. But I do look forward to going to parks and festivals on the weekend! I have to remind myself of that when I’m at work. Most days I’ll eat lunch at my desk. What I need to do is go some place else. I forget to get out of the office sometimes. That’s why going home is soooooooo nice. Thanks for the reminders. I will try to get out a little more even if it’s 110 degrees outside. I wish my time in the office was writing, but unfortunately I was talking about my day job where I work for someone else. Sometimes it’s hard to get out of that office. Phoenix? No way. Not me. Great blog post. As a teacher, I am so looking forward to summer! A run in Central Park and my head is so much clearer, when I sit down to write! Oh, I LOVE running in Central Park, Marianna! Unfortunately, I live 3,000 miles away from it. Awesome advice, Karen! I’m in a rut and need to get out of it. I think a walk or a bike ride would do me a world of good. This sounds like such a fun prescription, Karen. Thanks for the suggestion! I get out of the house to go to work, and walk on a treadmill. Sigh. I need to get out more – thanks for the reminder! Jennette Marie Powell recently posted..WANA Wednesday is Back, with Romance, Horror, and Historical YA!